She was accused of insulting Prophet Muhammad and was overheard by three individuals, Abdul Rahim Mat Diah, 53, Mohd Yunos Harun, 73 and Mohd Halim Buyong, 44, believed to be done to insult them. She was charged under Section 298 of the Penal Code, which carries a sentence of a maximum jail-time of one year or fine or both. The prosecution was carried out by deputy public prosecutor Fadhli Ab Wahab while the accused was represented by lawyer WC Chiang. Previously, Fadhli urged the court to mete out the sentence befitting the offense as it was a serious one that involved religious sensitivity, public interest and should not be committed by anyone. He said the insults should not be uttered in front of not only Muslims but people of other faiths as Malaysians must respect each other’s religions. Meanwhile, the lawyer of the accused pleaded with the court to give a light sentence as his client is a mother of two and has parents to care for. The court requested for the sentence to run simultaneously on the day of charge, and Tham faces an additional three more months in prison if she fails to pay the fine. 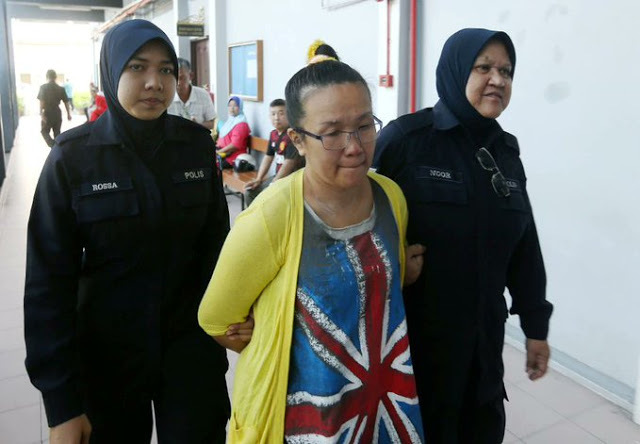 The court allowed the prison sentence to be postponed until the period of appeal is completed with the condition that she must post bail of RM5,000 with a surety and her passport must be handed over to the court.